In investing, the only source of capital protection is a growing dividend yield. Basant is a Commerce graduate from St Xavier's College Kolkata and is also a Cost Accountant. 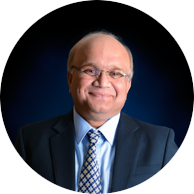 As a full time equity investor, Basant brings with him 22 years of experience in stock market investing. He has had a history of identifying several multibaggers over the past decade prominent ones being Pantaloon Retail, TV18, Trent, Page Industries, Titan industries, Hawkins Cooker, Gruh Finance and Repco Home Finance. In 2006, he found the online portal www.theequitydesk.com a platform where investors discussed investing ideas and thoughts. He is a regular commentator on various media channels like CNBC TV18; ET Now; NDTV Profit; Bloomberg India TV, CNBC Awaaz and Zee Business. The March 2013 issue of Readers Digest featured him as part of their lead story titled 'Secret of Self Made Millionaires'. 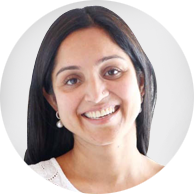 Shalu is a passionate investor with significant personal investments in Indian Equities. A value investor, she has been managing her personal and her family's investments over the last 8 years. She brings on table an attention for detail, versatility and thoroughness. Her past dynamism is proven by the fact that after a successful career in hotel industry, she successfully transitioned to HR (Recruitment & Training) in the BPM industry.